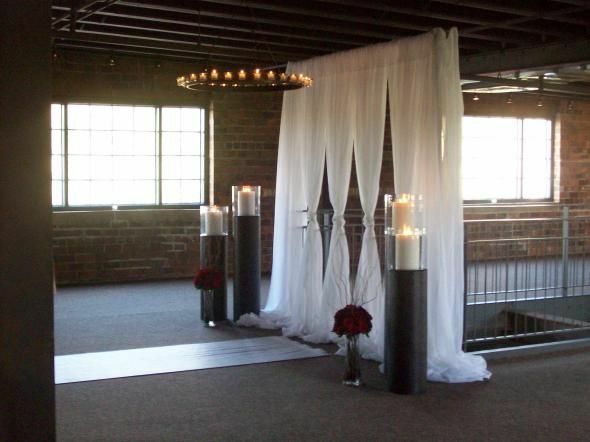 The altar area of the ceremony venue is important for a variety of reasons. For one, this is where the couple would stay during most part of the ceremony. Most parts of the wedding rites will be held here such as the kissing of the bride, exchanging of vows, wearing of the rings, and even the family pictures afterwards. More importantly, this is also a sacred place of worship. Needless to say, the altar area is also the focal point of the venue. For these reasons, it is necessary to have gorgeous and eye-catching altar decorations to make the wedding event more beautiful. If you read on to these great ideas for altar decoration, you will find out that decorating the altar is not as difficult as you think. Fill the altar area with a couple of large potted flowering plants as decoration around the altar area. These potted plants can be given afterwards as favors to guests or as a token of gratitude for people who helped organize your wedding. A pair of beautiful unity candles decorated with flowers is ideal to place on the sides of the altar. Candelabras with long taper candles, ribbons and tulle are also another option. Moreover, you can fill the altar with dozens of votive or tea light candles and place them on the tables and floors of the altar area. If you are going to hold your wedding in a garden, the altar area can be a gazebo adorned with volumes of white tulle, satin ribbons, and garlands of flowers. For the backdrop, have a beautiful lake, ocean, or landscape scenery to make the altar more stunning. An alternative to the gazebo is a white lattice arch (that can be used for indoors as well) that are designed with white tulle, veil netting, and lush of greeneries. Another option would be to make a gorgeous arch made of flowers or balloons. Flower decoration options can be floral balls, wicker baskets filled with rose bouquets, dried flower wreaths, silk flowers, fresh flowers, and garlands. Also a wonderful way to decorate the altar with flowers is to scatter rose petals around the area for a more romantic feel. Aside from flowers, it would also be nice to have lush of greeneries in the altar area. 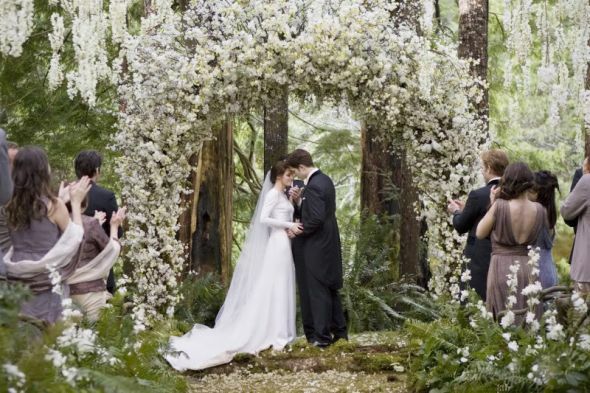 For example, you can two large green topiaries and place them on either side of the altar. These topiaries can be adorned with tulle bows, flowers, balloons, raffia, and ribbons. The altar will serve more than just a backdrop to your wedding. More importantly, this is a sacred place where you and your partner would make a vow to spend the rest of your lives together for better or for worse so it is only right that you decorate it beautifully.